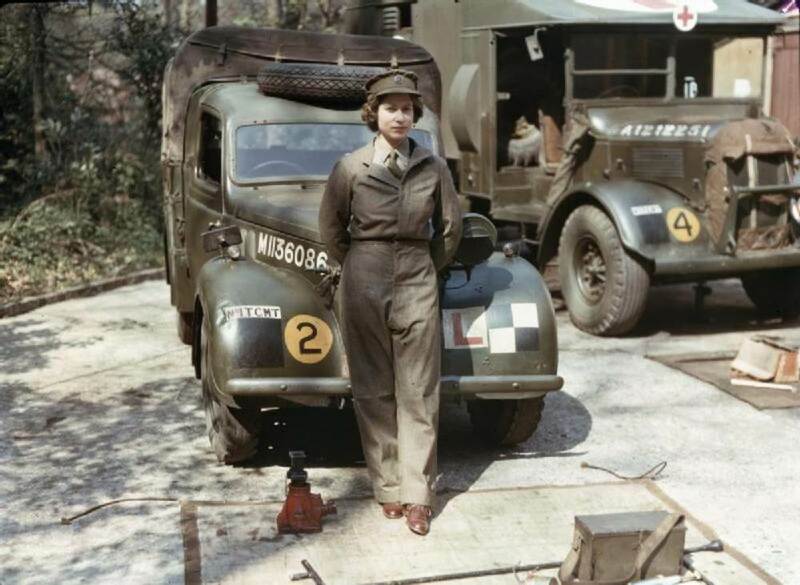 In February 1945, Elizabeth II joined the Women’s Auxiliary Territorial Service, as an honorary Second Subaltern with the service number of 230873. She trained as a driver and mechanic, drove a military truck, and was promoted to honorary Junior Commander five months later. She is the last surviving head of state who served in uniform during the Second World War.